The Power Of Accepting Responsibility. never before realized or imagined. Are you TRULY ready to blast through "Perceived" blocks, barriers and obstacles that so many "allow" to block the flow? Are you finally ready to discover the "Higher Truth" concerning who and what you "truly" are and your inherent ability to begin consciously and intentionally creating and experiencing All the Joy, Harmony and Fulfillment that life has to offer you? Are you open and receptive to guidance that will enhance your awareness enabling you to be, do and have more of what you "truly desire" to experience in your life? Will you make the choice to "apply" what you discover? There's a common theme amongst ALL people. We all want more in life. What's sad, yet equally true is the fact that few understand how to get whatever more it might be that they desire individually and on a broader scale collectively so they might EXPERIENCE what so many "Claim" they desire to be, do and have MORE of. In fact, many don't believe that they can. They're simply unaware, for any number of reasons of the power provided to them to "consciously and consistently" create whatever individually held hopes, dreams and desires they might have for themselves. One of the most common reasons is quite simply choosing to remain unaware of and as a result oblivious to how to begin consciously utilizing the power of your mind. The fact of the matter is, we are all using this power already. Most are just using it unconsciously and as a result "perceiving" that the events, conditions and circumstances in their lives are either somehow random and have no definitive reason or cause for unfolding as they do or they enable and allow others to determine the quality of their lives for them. At best most have a very limited and superficial understanding of how EVERY event, condition and circumstance experienced in life comes to be. The "True cause" that is which reveals your "True power." Although I can assist you with a deeper than average understanding, it's going to require a "conscious choice" on your part as well as your active participation to begin "consciously utilizing" this power for yourself. But should you choose to do so, you'll have taken one major and VITAL step forward in recognizing and more importantly "consciously utilizing" the power that you, I and everyone else has been freely provided. And make no mistake, we ALL have it. First lets address what IS possible for you..."Truly" possible I mean. The answer to that question is WHATEVER you can conceive, imagine and believe to be possible for yourself. That's precisely what is creating your current results whatever they might be. That's why accepting responsibility is SOOOO crucial. Most people choose to form their individually held "perceptions and beliefs" about what's possible for them based on what's unfolding in the world around them and the control they "think and believe" that others have over them. That's the ONLY thing that "enables, allows and determines what's experienced in life. What they "see and how the perceive" those things, in other words. They "allow" themselves and as a result dramatically limit what's "truly possible" or not possible for them which in their minds is dependent on externals. In other words they "believe" that the fulfillment of their desires is based on some person, institution, government, event, condition or circumstance that's happening in the external world. Although a choice you certainly have the right to make, it's also that same choice that keeps so many from "consciously utilizing" the power they've been provided...that we've ALL been provided. In fact it's that very choice that so many make which is the underlying cause for giving our "true power" away. Your power...your "True Power" IS NOT determined by externals UNLESS you choose that perception for yourself. Whatever more it might be that you desire individually, regardless of how BIG or impossible it might currently "seem" based on what you currently see unfolding around you is more than just possible...it's your birthright. It's EVERYONE'S birthright. Having those desires fulfilled regardless of how bleak or grand you might currently "perceive" your life to be currently and regardless of what might be happening in the world around you is far more "simple" than most understand. Accepting Responsibility for the current conditions in your life, WHATEVER those conditions might be is an essential first step and of major importance in becoming "fully enabled" and "truly empowered" to begin consciously, intentionally and consistently creating a kind and quality of life that harmonizes with your individually held as well as our collectively held "heartfelt" hopes, dreams and desires. The really great news is that accepting responsibility is not only "profoundly transformational", it will enable you to regain "conscious control" of your life and the outcomes experienced in each and every area of your life. What's perhaps even more exciting than that is that it's far more simple than you might currently "perceive." It simply requires a choice. A conscious choice. That choice begins by "consciously utilizing" some timeless wisdom that one of the masters of the past shared thousands of years ago. Once you're able to DO that, then it requires action. A willingness to DO something that aligns and harmonized with the desire. Most don't and WON'T "choose to DO that which is precisely why their lives and on a larger scale the world has taken form as "less than desirable" events, conditions and circumstances that have become not only all too common and so prevalent. And what has shown up; meaning the "less than desirable things" don't have to BE or remain as they are. Much of the pain, fear, sadness and "less than desirable results that happen in an individuals life as well as on a collective scale are in fact, unnecessary. What IS necessary to change that is accepting responsibility and then simply making "conscious choices." Granted, on the surface, it "seems as if" DOING that is much easier said than done. yet it's through choosing and learning to do just that, which is nothing more or less than learning to master your mind rather than DOING as ost do which is "enabling and allowing" their mind to become and remain their master, that keep your life and the events, conditions and circumstances in your life from being transformed. When you make the choice to begin accepting responsibility for whatever you might currently be experiencing and you choose to become aware of the power you hold...Real Power that we EACH hold to mold and shape your life, dramatic changes take place. Miracles become commonplace. Accepting responsibility doesn't require any heavy lifting or unpleasant "doing", it simply requires a conscious choice to enhance your level of understanding of the gifts and the power provided to you and begin DOING things in such a way that align and harmonize that you Love and are pleasing for you. That enhanced level of understanding begins by becoming aware of who and what you "truly" are which is far more than most "are aware of." That's also the very reason why so many develop unfounded, self sabotaging and self limiting excuses, point fingers, judge, blame, label and condemn, spending their entire lives believing and perceiving that life is a random game of chance, subject to what's happening "out there." And we can do that if we choose. But it's not a choice that will NOT enable you to discover and consciously utilize the gifts and the power we've each been provided in a conscious, intentional, purposeful, meaningful and DESIRABLE kind of way. Doing so first requires accepting responsibility for EVERYTHING in our lives. It's my hope and intention that providing you with the following explanation regarding The Power Of Accepting Responsibility will not only provide you with that understanding but also enable and empower you to recognize the importance of "consciously being"...consciously harmonizing that way of being with what you "truly desire", doing things that align and harmonize with that and as a result not only becoming empowered but begin SEEING and experiencing in tangible and measurable form what we "truly desire" to do and have more of, whatever that might be for you individually. If you're scratching your head wondering exactly what that means...read on. It will all make perfect sense soon. Let's begin by looking at what the vast majority "perceive" accepting responsibility to mean. Most people understand and agree that accepting responsibility for ones actions is an all important first step in dealing effectively with and changing any given situation, and necessary before any type of noticeable change can occur. Perhaps you already understand this as well. And this is true. Partially true that is. Let's call it a "surface level truth." What many don't understand and choose to overlook is the fact that accepting responsibility goes well beyond the physical aspects of you...meaning the "physical doingness" or the day to day physical activities that you engage in individually whether in your career, at home or otherwise. Accepting responsibility requires a "conscious" as well as an honest examination of the underlying and often unrecognized processes that are happening "under the radar"...more specifically "within you" and becoming fully aware of both how and what you are consistently choosing for yourself at this all too often "unconscious level" which inevitably shows up in the physical, financial, relational, emotional and spiritual aspects of your life. Let's call this "self examination" the seed level. 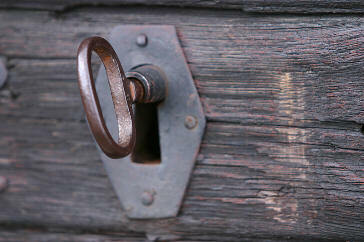 The seed from where all the physical events, conditions and circumstances that show up in your life are derived from. The "seed level" is what most unintentionally and unknowingly overlook. And that statement as well as the Power that CAN be unleashed by choosing to DO so is far more significant and transformational than most understand. Choosing to explore and understand this "seed level" will put you one powerfully transformational step forward in understanding and consciously utilizing your genius? Becoming "conscious of" and begin accepting responsibility for the "unconscious and under the radar thought processes" that you are choosing for yourself is where it all begins. Make no mistake, it's this "seed level" which without fail that attracts to you the ways and means to make your desires "Real and Tangible" as well as determines the various "physical actions" engaged in by you which in turn determines the kind and quality of the "tangible outcomes" experienced as a result of these day to day activities that we engage in individually. And I think that we'll all agree that "tangible outcomes"...more specifically DESIRED tangible outcomes is what we're all striving for isn't it? What the vast majority "unconsciously choose" to overlook is the fact that they are, as individuals, most times unknowingly and unconsciously, attracting and creating these events, conditions, and circumstances which are being experienced and as a result "perceive" that the world is unfolding randomly or in a number of cases chaotically. But rest assured it never is...not EVER. Both timeless spiritual wisdom as well as the most recent and cutting edge scientific discoveries clearly show that the world, the entire Universe for that matter is always unfolding perfectly and precisely. To be able to fully grasp and comprehend this "Higher Truth", it's necessary to look beyond the surface level actions which so many believe to be the cause of their outcomes in life. It's essential to get to and explore a bit at the "seed level." Doing so requires a willingness on your part to remain open and receptive to developing an awareness of the "True Cause" or the Source from which these physical actions originate from as well as consistently choosing to "consciously and consistently apply" that awareness once acquired. Choosing to do so, will without fail produce whatever "tangible results" you might currently desire and in ways that the vast majority "perceive" to happen based only on luck, fate or chance. We've touched briefly on the power of your mind. Yet "consciously creating" desired outcomes in life requires an even deeper look than the mind. The mind is a tool. Like any tool it can be used or misused. And it is being misused and/or "unconsciously used" by MOST. That's why it's so vitally important to look "below the surface." This deeper look reveals that the mind processes consciousness and the quality of consciousness that you choose is what determines the quality of your life. In other words a Wealth Consciousness will deliver far greater and more pleasing results than a poverty consciousness. A Love consciousness produces "desired results and fear consciousness produces "less than desired" results. Whether or not you're currently aware, ALL outcomes in life...whether your personal life or on a larger global scale are made real as the result of consciousness. In other words the kind and quality of your consciousness individually as well as the quality of consciousness on a global scale that I refer to as the collective consciousness is what determines each and EVERY event, condition and circumstance that is, has or ever will show up in your "physical reality" as well as on a collective scale. Due to previously established and currently held beliefs and the resulting subconscious programming that so many are "unconscious" of which determines your perceptions of reality impacts each and every area of your life. And it does so individually as well as collectively. It's these very beliefs and perceptions held that are consistently creating both the desired as well as the "less than desired" events, conditions and circumstances in that show up in your life. Most "believe and perceive" that it's the external circumstances that are unfolding in the world around them that determine what is "possible" or not possible for themselves and due to a lack of understanding these external events, conditions, circumstances, people, institutions, etc. actually do have control over them! The vast majority believe that many aspects of their lives are completely out of their personal ability to control, are the result of luck or completely dependent on and left to "chance" or "fate." This couldn't be further from the truth! The "Higher Truth" that is. It's due to choosing to hold onto these types of self limiting falsely established beliefs, that so many have been taught throughout their lives and have allowed to be established as true, that keep so many stuck in "seemingly inescapable cycles" consisting of lack, limitation, discord, and/or discontent and continually experiencing unfulilling or "less than desired" events, conditions and circumstances in the various areas of their lives as a result. That fact combined with a lack of awareness as to how the events, conditions and circumstances in life are derived are precisely why so many experience such limited outcomes throughout their lives. Most believe that in many areas concerning money, health, and relationships, that it is beyond their individual control to do anything that could possibly change the less than desirable situations that they find themselves in and experiencing in life everyday. These previously established beliefs are based on a predominantly held mindset and is one such form of "common knowledge" that keeps the masses from actually experiencing the kind of lives that they are quite capable of, and were created to enjoy and experience. Many of these "commonly held beliefs" established as "being true" in various cultures worldwide are the exact and ONLY reason that so many in our world suffer needlessly from a wide variety of conditions ranging from a lack of financial resources, health issues, poor relationships all the way to more serious and life threatening conditions such as hunger, homelessness, and a number of other life altering conditions and circumstances. I'm NOT implying that by accepting responsibility that when some event condition or circumstance in life that is "perceived" as bad happens that it is your or anyone else's individual fault. Accepting responsibility in the way intended has nothing to do with blame or fault or finger pointing but simply refers to the importance and necessity of regaining conscious control over your life. Although consciousness is the cause or seed for ALL things physical, there do exist varying levels of consciousness for which some things do happen that "appear" to be and are beyond our control. But the fact is, they're not UNLESS you choose that for yourself. Even if an event condition or circumstance happens, say as the result of the collective consciousness , although you may not have been individually responsible, accepting responsibility for how you "allow" and choose to let the event, condition or circumstance effect you now, can, does and will play a powerfully creative roll in the physical outcomes you'll experience at some point in the future which IS still within your control. Accepting responsibility is about developing the understanding and the ability to respond in the "proper way" so that when things that are "perceived" as bad events do happen and show up in life, which they no doubt will, you won't stay stuck longer than necessary, creating more of the same by focusing on what you may "perceive" to be a "bad" situation. Doing so enables you to continue taking conscious and intentional action in such a way that will enable you to quickly move through the lesson whatever it might be. That's all "perceived challenges" and "less than desired" outcomes are. An opportunity to learn and grow. They're intended to move you forward and looking for the underlying message that without fail exists within every circumstance, when recognized enables something greater to be gained from whatever kind of experience the situation may have led you through. In other words you have the ability as well as the power to choose how you will respond to any external event, condition or circumstance in life. You have 2 choices to make when a situation arises...you can respond or react. Accepting responsibility is responding. Allowing negative emotions to surface and dominate make the experience worse than is necessary and can be equated to reacting. Accepting responsibility is nothing more or less than developing your response-ability. Response-ability is responding to the events, conditions and circumstances in life with gratitude, with the understanding that "all things "truly do" work together for good, regardless of how you might perceive them at the time. Let's look at a situation that most will recognize and accept as personal responsibility. In the case of alcoholism, or drug addiction, all of the major institutions that treat such conditions agree that the first step in effectively overcoming these life altering situations is first of all, the willingness of the patient to recognize and admit that a problem exists. The second step is solely accepting responsibility for the creation of the existing situation, so that it can be properly treated, dealt with, and eventually overcome. It's not that they are expected to beat themselves up or establish low self esteem due to their current situation, although in this type of situation personal choices were made which created it. Without that initial recognition, or awareness, in the mind of the patient, it is impossible for them to accept personal responsibility because they believe that someone or some circumstance outside of their control caused them to fall into the addiction. As long as this belief remains, and they deny personal responsibility, it is impossible to effectively treat the condition and highly likely that the same addiction will resurface at some point in their life if external events or conditions are repeated which they based those choices on. In the case of addiction, unlike some situations, it is essential for a person to accept the fact that they are experiencing the outcome based on choices that they freely made, and that they have the individual power within them to "respond" in the proper way to overcome the current condition and remain free from it's grasp in the future. Until that awareness is realized and established as belief, nothing can be done, long term, to change the consequences that these situations create. Just as it is true to effectively treat addictions, becoming aware of and accepting responsibility for the events, conditions, and circumstances in each and every area of YOUR life, and where you find yourself right now, is the first step in learning to create, achieve and experience a life of Abundance and Happiness in your future. Accepting responsibility is essentially reclaiming your personal power to create your life on your terms. Giving your power away by blaming externals, whether it be people, conditions, institutions or anything for that matter is essentially making the choice to relinquish the creative power that has been provided to you, me and every other human that exists on this planet. Choosing to blame, ridicule, or fall victim to externals is in essence putting you in a "creature of circumstance" category rather than what you "Truly are", which is a creator of circumstance. If you are personally experiencing and "appear" stuck in lack in ANY area of your life, it is because YOU are either consciously or unconsciously creating the situation and will remain in that situation until you begin accepting responsibility, (developing and initiating your response-ability) and creating an internal harmonious frequency that resonates with different results which will 100% of the time with unwavering certainty, attract different results. Accepting this as fact can prove to be difficult for many initially. As difficult as it may seem at this point, grasping this fact as truth is a crucial and necessary first step in discovering ones ability to change the existing conditions that they find themselves experiencing and "perceive" to be undesirable. To effectively grasp the fact that you are responsible for WHATEVER outcomes that you are currently experiencing in life, it is necessary to look beyond the physical outcomes that "appear" as reality, and develop an awareness of how it is that these physical outcomes are derived. Just as it is necessary for the patients of drug abuse and alcoholism to recognize that they are at cause, it is necessary for you to develop the awareness that YOU are at cause for remaining stuck in these conditions you're experiencing if you are to ever discover the true power that you possess to change them. Until you discover, absorb, and accept this undeniable fact, until you develop the willingness and ability to be completely and brutally honest with yourself, replacing the creature of circumstance mentality and eliminating the self-pity and self-deception, will you ever truly begin to recognize, own, initiate and escalate your "true" personal power. Although most have been taught that certain aspects of life are beyond their control, in order to change those restrictive beliefs it is necessary to expand your current level of awareness and develop the awareness that other possibilities exist in order that a new belief can be established. In order to develop this awareness and fully grasp the fact that accepting responsibility is a necessary step in enhancing your quality of life, it's necessary that a basic understanding that goes beyond what can be seen and experienced at the physical level be established. By developing a basic understanding of Quantum Physics you will begin to understand how it is that you "Truly Are" responsible for the current conditions in your life and will enable you to take a giant step forward in understanding that accepting responsibility is an essential first step in the process of transforming your current outcomes. By becoming familiar with the immutable and unwavering Universal Laws that govern and keep the Universe operating in harmony, you will have taken a huge first step in understanding how and why things really work as they do, and will allow you to better understand why it is so important that you begin accepting responsibility for the outcomes that you are currently experiencing in your own life, whatever they might be. By expanding and developing your awareness in these areas you will have made tremendous progress in developing a much deeper and extremely self empowering understanding of your LIMITLESS capability, which will open additional doors enabling and empowering you to begin taking the steps necessary to begin changing the undesirable outcomes that you are currently experiencing in ANY area of your life. Through this newfound awareness it will become very clear to you the necessity of accepting responsibility for where you currently find yourself, shedding the victim of circumstance mentality and learning to instead begin to consciously create the results you desire to experience. Becoming familiar with the Law Of Vibration , the Law Of Attraction , and the The Law Of Cause and Effect , will heighten your awareness exponentially with regard to the unlimited possibilities available to you, and allow you to better understand how, regardless of what you may currently believe, YOUR current actions are determining your outcomes, even in the areas that you currently feel powerless and "perceive" as impossible to change. By developing this new awareness it will be much easier for you to begin the process of developing the beliefs that are required to change them, and begin to attract and create a life of limitless Abundance and Happiness. Once you begin to understand how your consistent thoughts , beliefs , and the emotions that are ignited as a result and are the often overlooked underlying "cause" that is quite literally attracting and determining the outcomes that you experience in your day to day life, you can begin to take a conscious approach to discarding the beliefs that are creating that which you consciously claim that you don't want, and begin developing new thoughts and beliefs that will better serve you in attracting different outcomes and fulfilling your desires. By familiarizing yourself with these truths you can then begin to see how accepting responsibility for what your life is currently producing, will allow and empower you to begin correcting the undesirable events, conditions, and circumstances that have previously left you feeling like a victim of circumstance, and allow, empower and enable you to begin to take correct and effective action steps that will allow you to begin to experience the life that you are capable of achieving and were created to enjoy. By consistently applying this newfound awareness in your day to day life, you will begin to experience a sense of freedom, absent fear, anxiety, and worry that you never before even realized existed. By taking the first step of accepting responsibility for your outcomes, and becoming aware of your true unlimited potential, you will begin to know and experience the incredible life changing power provided to you by the Source of all that is whatever the Source of your understanding might be. A power which allows you to become a conscious creator of circumstance rather than an unconscious victim of circumstance. Accepting Responsibility for your current life circumstances is like all things in your life, a choice that only you can make. By becoming aware of and accepting this one very important and "key" Power Principle , you will be one huge step closer to learning how to begin creating and experiencing a life filled with Unconditional Love, Joy, Fulfillment, Inner Peace, and Limitless Prosperity far above what is perceived as possible by the masses. Regardless of what you may currently believe with respect to your outcomes in life, YOU are responsible. Ignoring and remaining unaware of this fact won't change the fact that it's true. Your perception of truth will continue to provide you with outcomes based on "Whatsover you believe." Accepting responsibility and expanding that truth, and discovering your limitless capabilities will prove to be the most freeing and self empowering decision you could ever make. From a place of caring and deep compassion beyond what words can express, I hope that you will. I recently held a 2 day conference with attendees from around the world called The 7 Hidden Keys To Conscious Creation that I've made available in downloadable MP3 format. 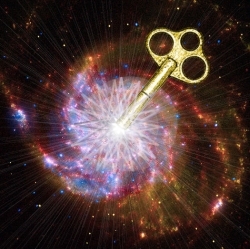 The 7 hidden Keys provides a very "profound" yet practical understanding that delves deeply into both the science as well as the spiritual principles that clearly reveal your true power and your ability to be, do and have whatever your individually held desires might be. Should you feel led to do so, you can learn more about it here. Whatever your personal choices are, today as well as in the future it is our sincere hope that they might bring you one step closer to unlimited and overflowing blessings in each and every area of your life. and Consciously Initiate Your TRUE Power? The 7 Hidden Keys To Conscious Creation provides a "profoundly empowering" look at the underlying and often overlooked aspects of creation and how to "consciously harmonize" with it to make your heartfelt dreams and desires "Real and Tangible." If all the smoke, mirrors and marketing hype surrounding the Law of Attraction has left you "still looking and wanting", The 7 Hidden Keys Keys To Conscious Creation will prove to be a breath of "fresh air." Awaken To Your "True Power"
Each of the resources recommended in the Power of Accepting Responsibility article and throughout Abundance-and-Happiness.com has been personally tested and approved by the founder as a credible and effective means of accomplishing it's intended purpose. Any and all guarantees are handled through the company that provides the resource. Copyright © 2005-2009 Abundance-and-Happiness.com The Power Of Accepting Responsibility article and all content on Abundance-and-Happiness.com is strictly prohibited without the express written consent of the author and/or Enlightened Journey Enterprises. All Rights Reserved Worldwide.